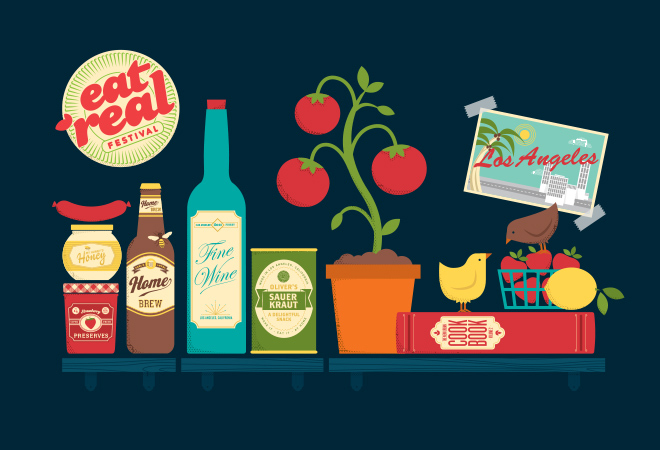 Print and wayfinding collateral for the Eat Real Festival in Oakland and Los Angeles took first place in the Community Development category at AIGA San Francisco’s Cause & Affect awards this past December. It also picked up a People’s Choice nomination along the way. A big thanks to our clients on this one, a great group of people doing something worth the recognition.